Ready-made elements and hardly require any building adaptation. 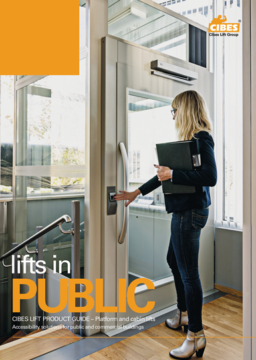 Cibes A5000 is a smart and adaptable lift solution for public and commercial buildings. The lift comes with an amazing 5 Year Lift Motor and Gearbox warranty to give you and your customers total piece of mind. ‘What is the most popular lift model?’, you may be wondering. With eight different platform sizes to choose from, and the capability to taking a load of up to 4-5 people (400-500kg), the A5000 model is designed to fit seamlessly in to both new and existing buildings. 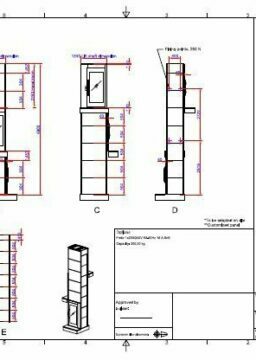 The lift is delivered in ready-made modules with everything you need for installation, including the lift shaft. Just plug the lift in, and it works. No complicated electrics. The passenger platform is 70% of the footprint. A great use of space! 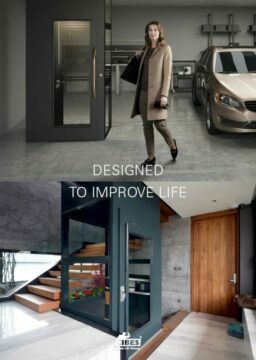 Our ready-made lift concept speeds up the installation and minimizes the impact on the building. 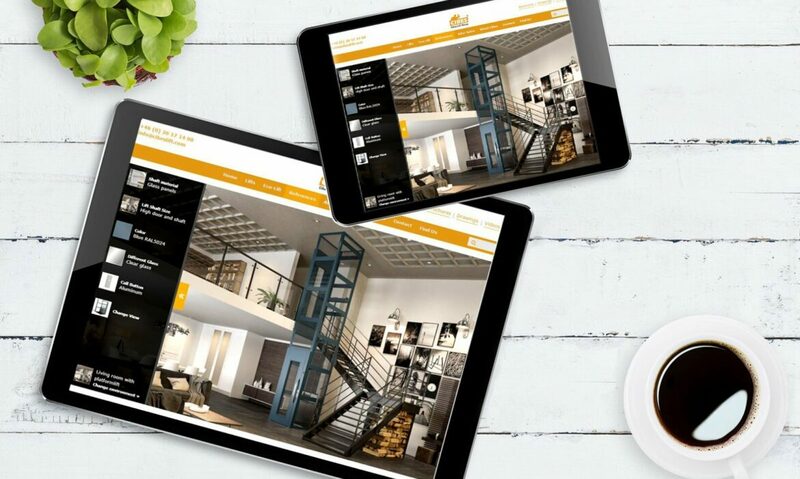 what is a platform lift? 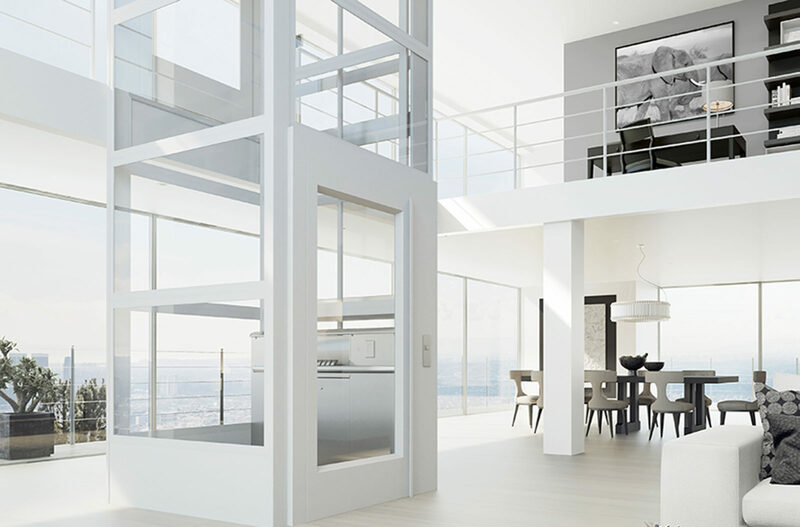 The Cibes A5000 platform lift is our most popular platform lift and for good reasons. Do you know what makes platform lifts different from conventional lifts? This video explains all the essentials. 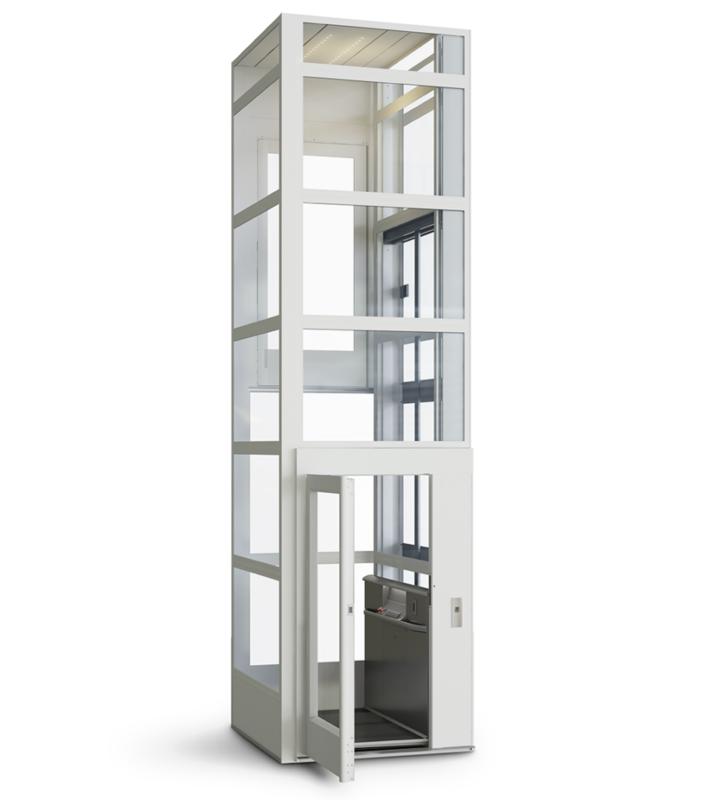 Platform Lift Cibes A5000 is small on the outside and incredibly spacious on the inside. 70% of the total footprint is the passenger platform. 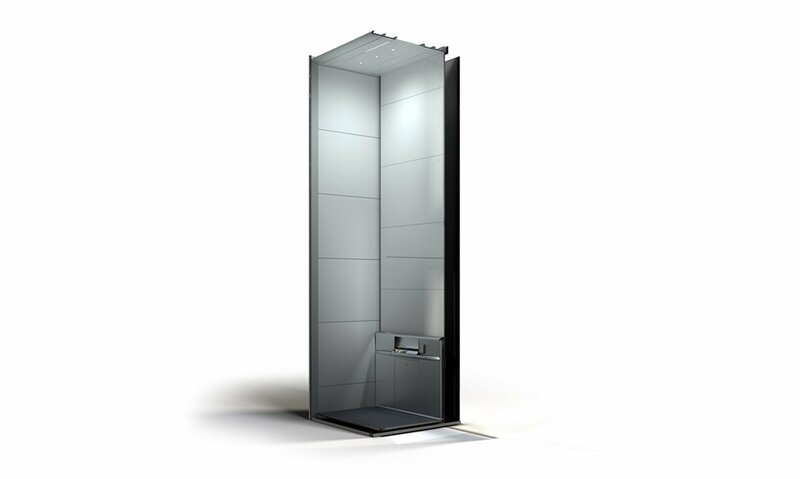 The lift shaft of the Cibes A5000 can be glazed on all sides, including the machinery side. Glass looks fantastic and preserves the light and airiness of the space. 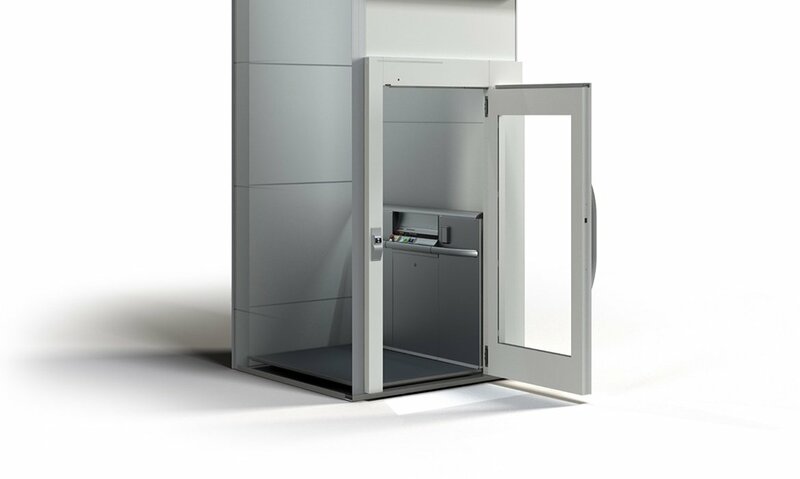 One of the great features of the Cibes A5000 lift model is that it can be fully customised to fit effortlessly in with the design of the building. From the shaft to the door, you can choose how you want your lift to look. We have a variety of RAL colours to choose from to help your lift blend perfectly with its surroundings. 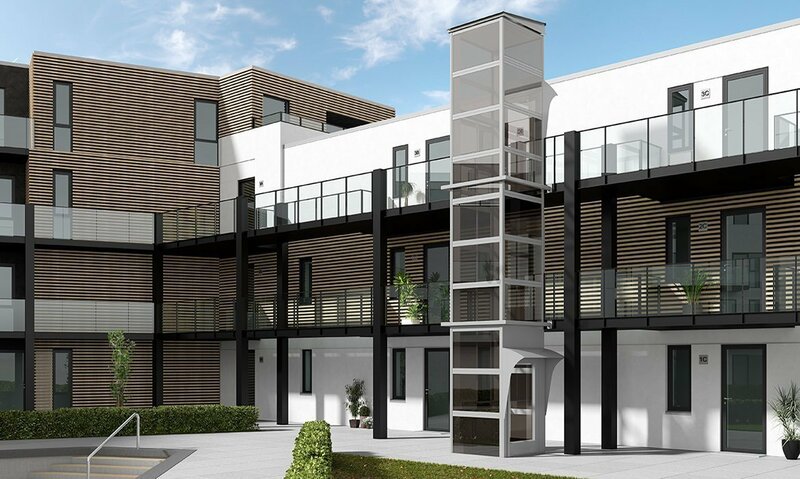 We can also create a unique four-sided glass lift shaft structure, which looks as impressive from the outside as it does from the inside. 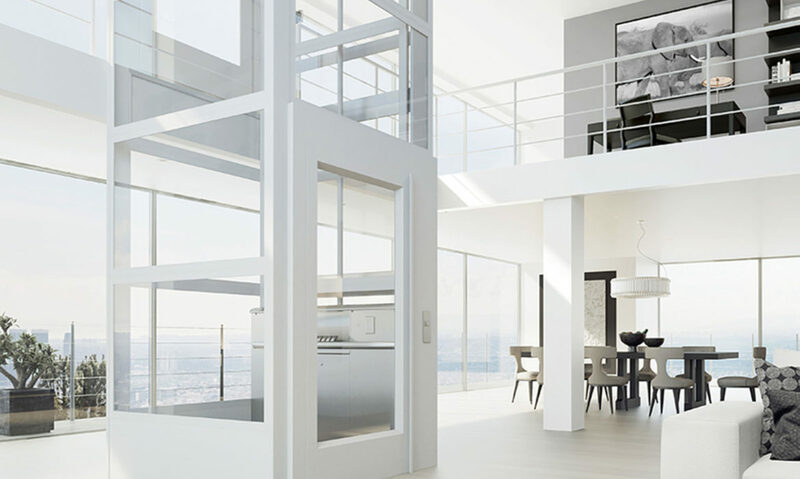 A fully glazed platform lift looks elegant and makes the most of any natural light. This makes it an excellent choice for public buildings, such as schools, as passengers are always visible inside. Our lifts are certified by the notified body Liftinstituut B.V. and carry the CE mark. Cibes Lift was founded in 1947. Our lifts are engineered and manufactured in Sweden. 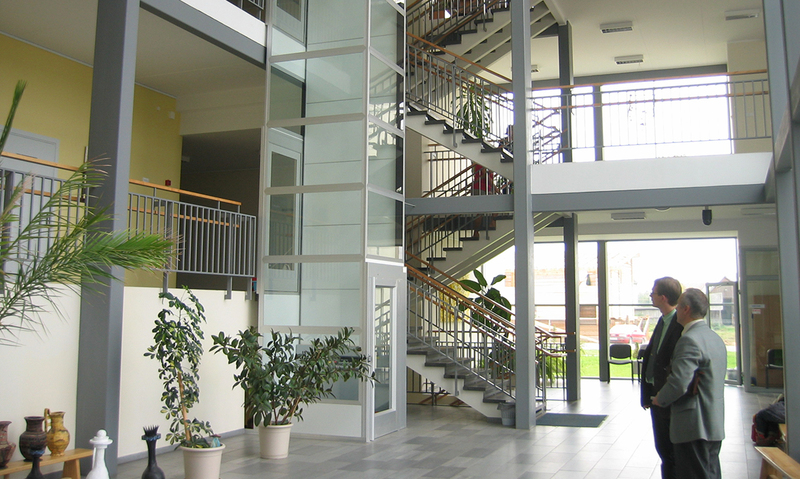 Our lifts meet the requirements of European safety standards and are safe and easy to use. 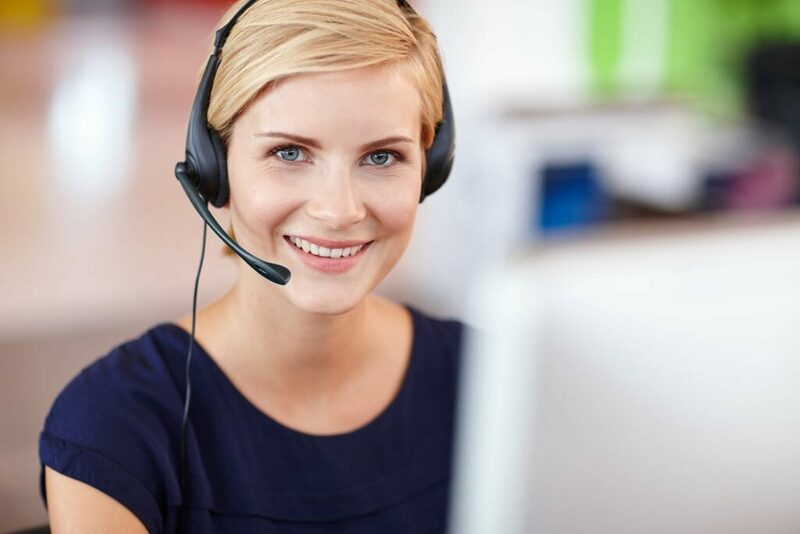 Made and fitted by our team of highly trained experts, the A5000 is delivered ready to install and with work only lasting for a matter of days. Allt the machinery fits inside the double wall behind the passenger platform. 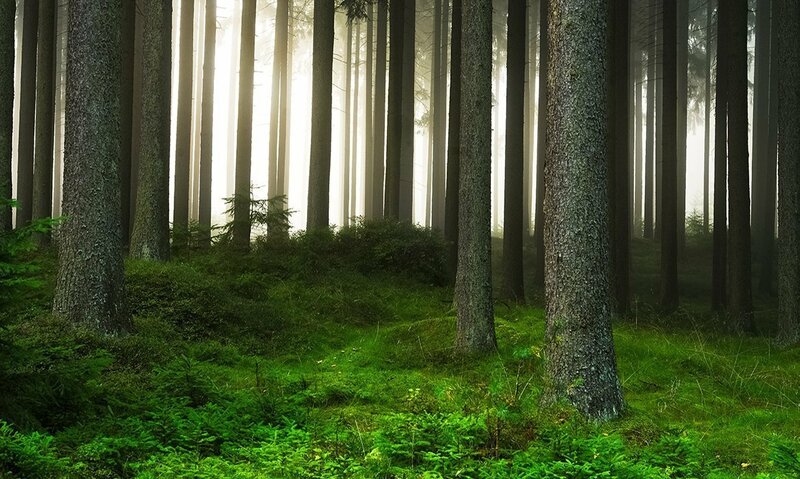 Space-efficient and invisible. 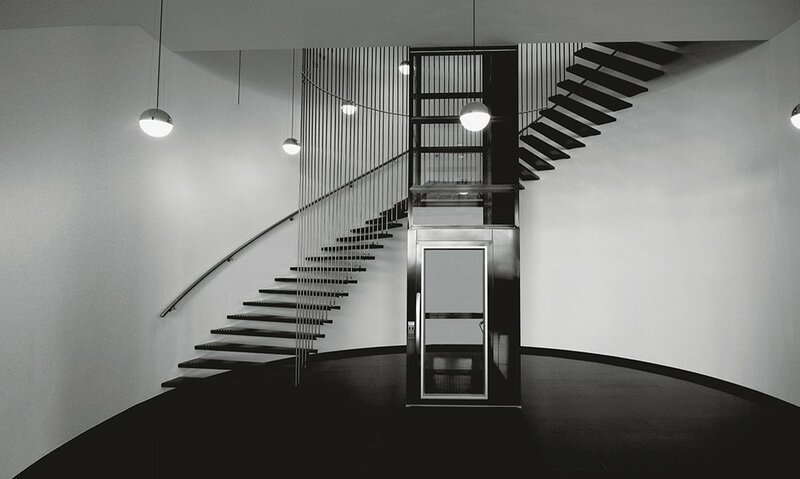 Platform Lift Cibes A5000 can be installed directly on the floor, or with a floor recess of just 50 mm. No problem! 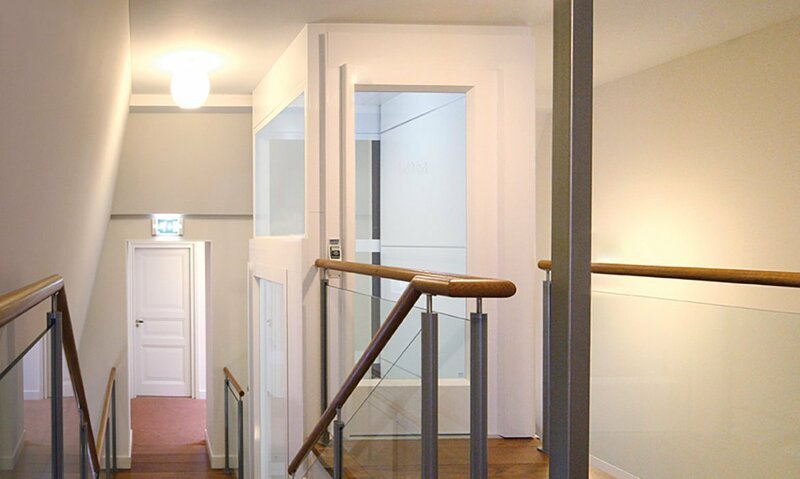 Platform Lift Cibes A5000 with standard doors requires a headroom of only 2300 mm. 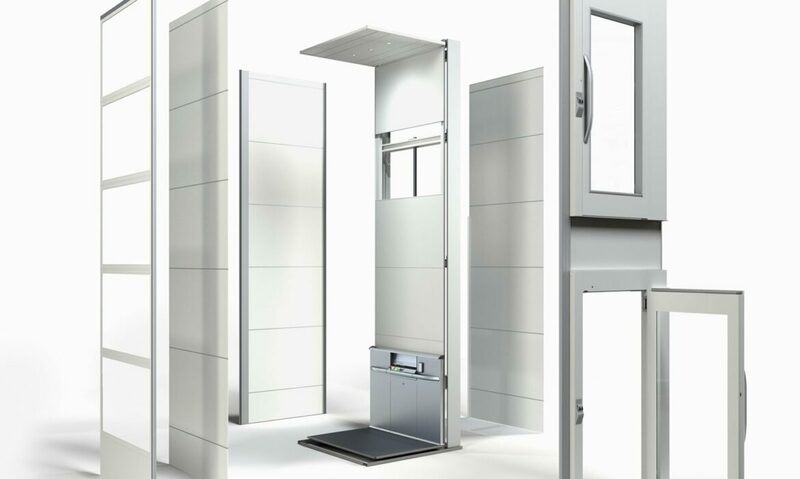 Cibes platform lifts are recyclable to 95% and the EcoSilent drive system makes lift operation quiet and energy-efficient. No room for a lift inside the building? No problem. Platform Lift Cibes A5000 can be adapted for outdoor installation. The Cibes A5000 has minimal structural impact on your building. 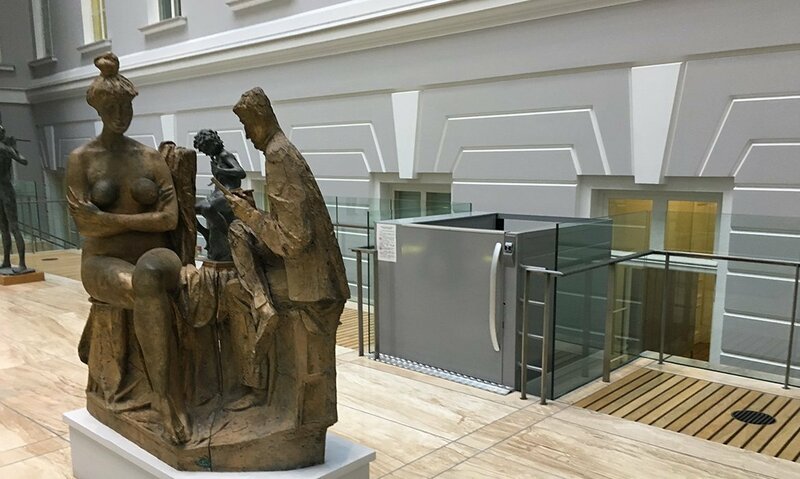 The perfect lift solution for historical buildings. The Cibes A5000 is very user-friendly and safe, which makes it a popular lift solution for schools and day-care centres.